“Service” refers to the general information, products, services, features, content, or applications which can be accessed on this Site including but not limited to Physical Products or Forums. When visiting https://pirateringos.com, we will learn certain personally identifiable information and non-personal identifiable information about you during your visit. Personal information is information that specifically identifies you such as your name, phone number, physical address, email address, and credit card information. Non-personal information or Anonymous information is information that cannot be used to personally identify you such as your computer’s IP address or your browser type. Please note that whenever you voluntarily make your personal information or other information available for public viewing such as comments on a blog post that information can be seen, collected and used by other besides us. We cannot be responsible for any unauthorized third-party use of such information. INTERNET ACTIVITY. When you visit this Site, we may collect and store information about your visit, such as internet domain, IP address, date and time you access our Site, pages you visit, your browser type, and the referring URL (the website you came from before visiting our Site). We use this type of information to analyze our user traffic, to operate the Site and to provide quality service. COOKIES. Like many websites, when you visit the Site, we may send “cookies” to your computer that uniquely identify your browser and records your preferences and actions. A cookie is a small data file that enables your computer to have a dialogue with our Site so you can log in faster and enhance your navigation through the Site. The cookie contains a string of numbers and letters to identify the user such as username, password or preferences. Cookies are used to provide a customized user experience and to make the Site easier for you to use. For example, we may use a cookie to identify your username and password so you do not have to log in every time you visit our Site. We may use the information gathered by our cookies to compile aggregate data about user traffic and interaction to better understand how our Site is used and to improve user experience. We may use both session and persistent cookies. Session cookies expire when you close your browser. Persistent cookies remain on your computer after you close your session and until you delete them. Cookies can be deleted or disabled at any time by using the privacy settings in your browser. However, if you choose to delete or disable cookies some features of this Site may not work properly. We may share your information with trusted partners and vendors who help us operate this Site, provide customer support and conduct our business. We may share your information when we reasonably believe it is necessary to comply with applicable laws, governmental authorities or other third parties. We may share your information when we reasonably believe it is necessary protect the rights, property or safety of Pirate Ringo’s, users and the public. This Site is not directed to children under the age of 18. To access or use this Site, you warrant that you are at least 18 years of age and are otherwise legally able to form a binding contract. We do not knowingly collect personal information from children under the age of 13. 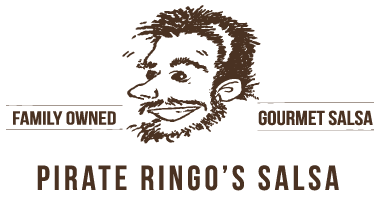 If at any time you do not wish to receive emails or any other communications from Pirate Ringo’s, please notify us via email at ruby@pirateringos.com or you may opt-out by clicking the Unsubscribe link in the footer of our emails.